What the media says Dwight Howard is about? That’s not what Dwight Howard is about. I’ve covered the Rockets the entire time Dwight Howard has been here and one thing I can say for sure is that this guy is genuine. What you see on camera? That’s real. That’s Dwight Howard all the time — it’s not an act. He has always expressed a love for the city of Houston and has been proud to represent it. I’ve never seen Dwight skip out on the media after a loss. I’ve never seen him stray from a tough question. He stays until every question is answered (extremely rare for a superstar). He always praises his teammates and relishes in their individual success. Throughout this brutal start, he has preached about unity, sticking together and not pointing fingers — and he has lived by that. 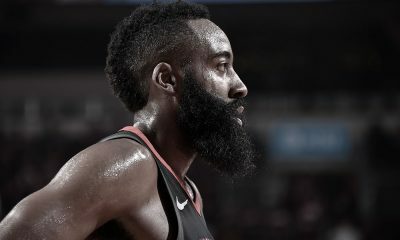 I’m not sure when kindness, laughter and character became weaknesses, but in the past 48 hours, an extremely speculative (borderline fantasy) report came out claiming that Dwight was “extremely unhappy” in Houston. That has opened the floodgates to the media attacking the straw man Dwight they built up over the past four to five years. Is Dwight Howard unhappy? Of course! Every Rocket player is unhappy, as they should be. This is not a team that came into the year hoping to make the playoffs. Their bar is set at championship contention and they’re far below that standard. However, there is a huge difference between being unhappy about losing and being unhappy and wanting to leave. 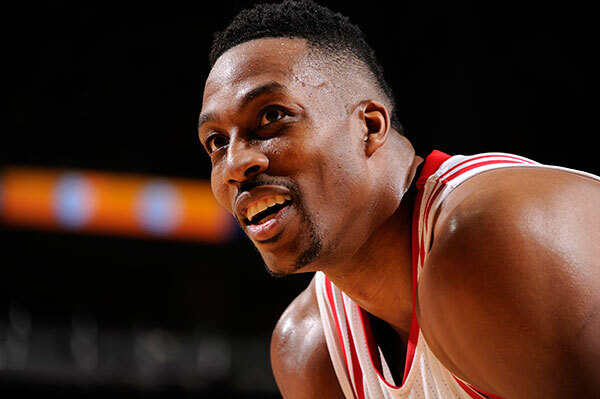 Is Dwight Howard likely to opt out of his contract this summer? Of course! Whether the Rockets are 26-0 or 0-26, it would be less than wise for Dwight, barring significant injury, to not lean that way. He’s 30 years old and the salary cap is about to spike to unheard of levels, with just about every team having massive cap room. This may be his last best chance to get a new long-term deal. Dwight hasn’t said he will opt out, repeatedly saying when asked that he’s not focusing on that, but if he does, there are financial reasons for it. 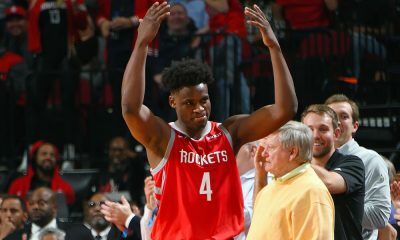 It doesn’t mean he wants to leave Houston — he may very well opt out to re-sign here. So it’s a big stretch to take pre-existing conditions (unhappiness and the likelihood of opting out), read this report and say this is evidence that Dwight wants out of Houston. Dwight himself has blasted the article, calling it “lies and rumors”, and some are quick to point out that Dwight said the same when sources reported he tried to get Stan Van Gundy fired. But let’s be clear — sources haven’t always told the truth about Dwight either. Chris Broussard reports Dwight Howard is waffling. "Hey, he's Dwight." source said. Think about it — media and fans have criticized this guy for being too happy. Now they’re apparently criticizing him for being too unhappy. Maybe I just remember all too well how difficult it was for the Rockets to land a star without tanking. In 2013, we needed Dwight to choose Houston and he left a glamour market to come here for a shot at a title. 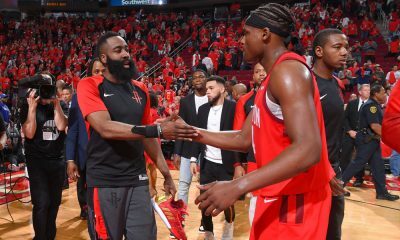 He knew James Harden was here and that Harden was a volume scorer — this remained the case and you haven’t heard a word about it the past two seasons when the Rockets were having success. 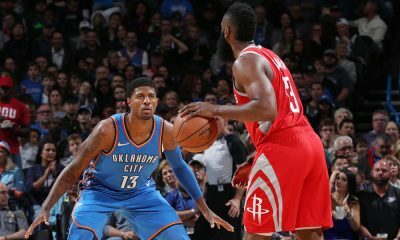 His goal and focus has always been to win and while the effort of some Rockets has been in question, that’s never been an on-court issue with Dwight. All Dwight has done is what’s been asked of him. He’s dealt with injuries the past two seasons and still elevated his game in the playoffs, averaging 26.0 points on 54.7% FG, 13.7 rebounds and 2.8 blocks in the 2013-14 postseason and 16.4 points on 57.7% FG, 14.0 rebounds, 2.3 blocks and 1.4 steals in last year’s extended playoff campaign. He’s seen a significant decline in usage this season and has not complained about it, repeatedly saying he will do whatever it takes to win. The Rockets clearly have problems right now, and that’s fair game. There’s a lot to criticize. 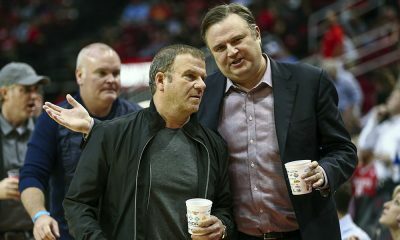 But Houston shouldn’t turn its back on the one guy who has had theirs because of some online gossip. He deserves a lot more than that.